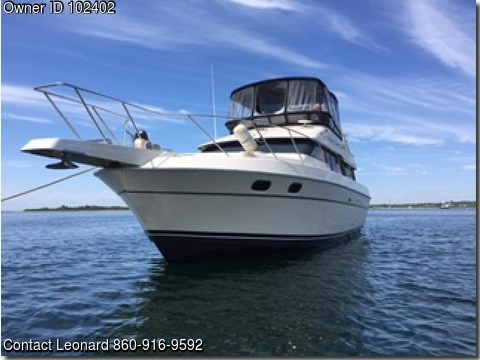 Boat is located in Stonington,CT.Please contact the owner @ 860-916-9592...37 foot 1988 motor yacht with 2 350 horse crusaders. sale includes a 10-2 inflatable dinghy with outboard and lift. a staircase with railing is also included for easy access. just one owner and always professionally maintained.45 foot slip is also available for sale, either separately or together with the boat. The price for the slip is 42,000.